These antique Chinese jars were used for shipping eggs. 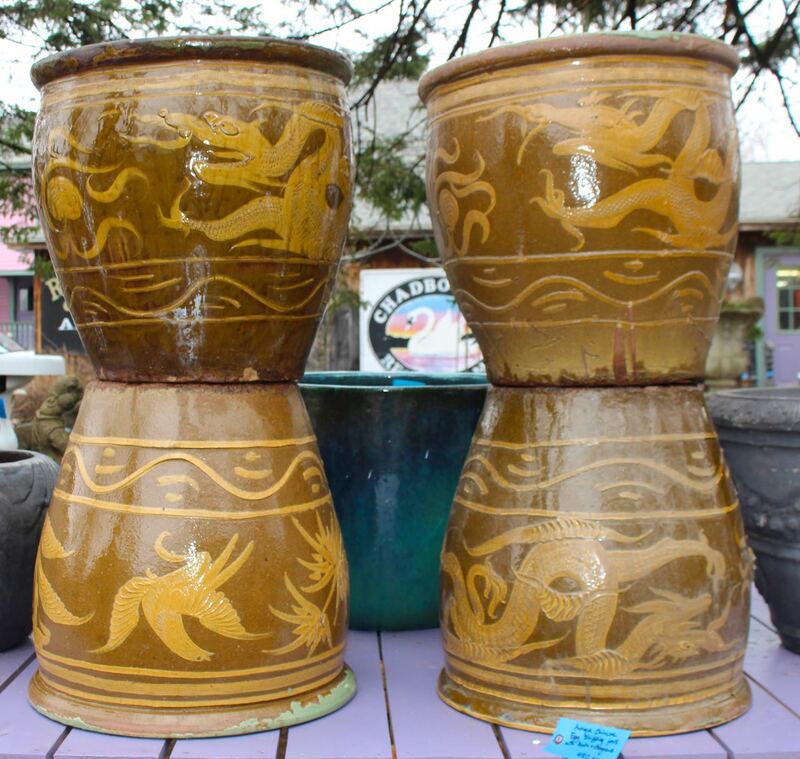 These are very large, heavy pieces (24″ tall). Glazed with birds & dragons. Beautiful condition. Priced by the piece.